Yesterday, I did something completely out of character. I approached two well-dressed young men and asked if they would like me to take their picture. I even suggested how they might like to pose. I follow Heidi Swapp on Instagram and via her blog. she is also a Mormon and the mother of a son currently serving a Mission in Japan. it’s all too easy to imagine how much you miss someone when they are away. to send to their parents. So that’s why I did what I did yesterday. And I feel pretty good about it, too! 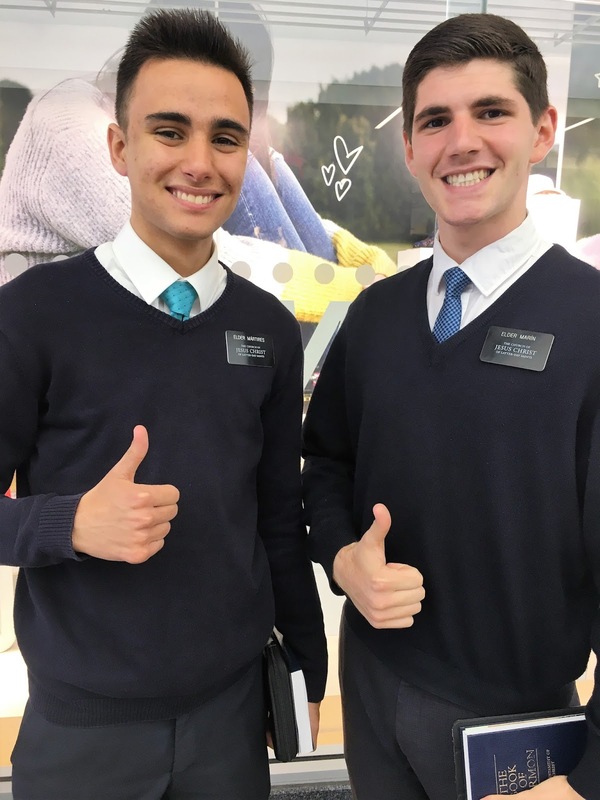 I knew that Mormons take time to serve as missionaries but did not know the restrictions on contacting home. I'm sure these young men were thrilled to have the opportunity to meet you and have their photo taken to send home! What a kind thing to do! I bet their parents will be thrilled to have the photos and so happy that someone has taken the time to be kind to their children whilst they are in a foreign country far from home.